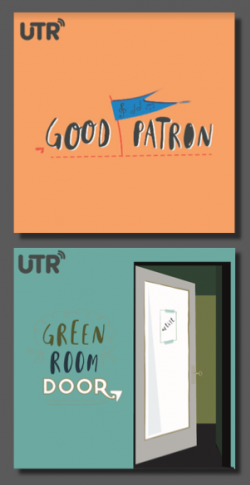 The UTR Media creative re-launch continues! Over the last week, we launched 2 new podcasts that lovers of well-crafted music should enjoy. Descriptions and links are below - and it's always helpful if you spread the word on social media or rate/review the shows on the platform of your choice. Good art - especially independent art - doesn't just happen. Host Garret Godfrey explores some of the best ways we all can be more supportive of faith-based independent music, including interviews and the latest crowdfunding campaigns. Episode 1 includes interview clips with Matthew Smith and Anthony Quails, plus new campaigns by Over the Rhine, Bill Mallonee, & Audrey Assad. We give you special access to some of today's most gifted songwriters and performers so you can learn about the heart behind the music - hosted by Dave Trout. Episode 1 features interviews with Sir Eric Peters and Steve Taylor... and a 5-year-old hijacks one of the interviews. These 2 plus the Gourmet Music Podcast are the first 3 new podcasts for UTR Media. Still to come... Release Date will chronicle the making of an album from concept to creation, and that debut is coming in the second half of September (listen to the trailer & subscribe now). Side Note will be Nick Flora's audio deep dive into the creative process (listen to the trailer & subscribe).